If you’re looking for some inspiration on where to take your mum this Mother’s Day, look no further. We’ve pulled together our top picks of places to explore in Cornwall that will make your mum smile. Spend the morning in the historic harbour of Porthleven. Here your mum will enjoy exploring the variety of boutique shops and galleries that the village has to offer. If she loves going on a coastal walk, we also recommend taking her on a walk down to Loe Bar. Starting from Porthleven harbour and continuing onto Penrose Estate, this beautiful coastal walk is around 40 minutes long and is definitely one not to miss! Having worked up an appetite, you can then pop into Rick Stein, Porthleven where you can treat your mum to a lovely Sunday roast. Enjoy topside of beef with seasonal vegetables, roast potatoes, beef gravy and a Yorkshire pudding with a bottle of Rick Stein’s Spanish red and one of our delicious desserts. Celebrate Mother’s Day in style at Ruby’s Bar. Whether your mum likes a Ruby’s Fizz, Spanish Snapper or Expresso Martini let her enjoy choosing from the variety of cocktails on offer, whilst sitting in front of the cosy fire followed by a mooch around Padstow. Take your mum on a scenic bike ride along the Camel Trail followed by some fish & chips at Stein’s Fish & Chips. Coated in our very own batter and deep fried in beef dripping, our fish and chips are the perfect treat for your mum after a cycle ride from Padstow to Wadebridge. Golden sands, blustery winds and crashing waves… Wrap up warm and take your mum on a lovely walk along the iconic Fistral beach this Mother’s Day. This is the perfect beach to see some impressive surfing and enjoy stunning views. 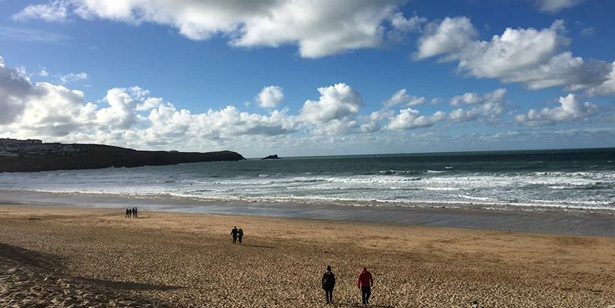 Having blown away the cobwebs, head to Rick Stein Fistral where your mum can enjoy some of Rick Stein’s fish and chips or a curry from the curry kitchen. Bobbing boats, blue waters and beautiful cobbled streets… Take your mum on a day out in Falmouth where she can explore the town and enjoy looking out onto the beautiful blue waters across the harbour. Serving some of Rick’s favourite fish and shellfish dishes, end the day with a special meal at Rick Stein’s Fish where your mum can enjoy a three-course set meal with a bottle of Rick Stein’s Spanish white. Offer: 3-course seafood set lunch for £16.45, available every lunch time and between 5pm – 6pm.